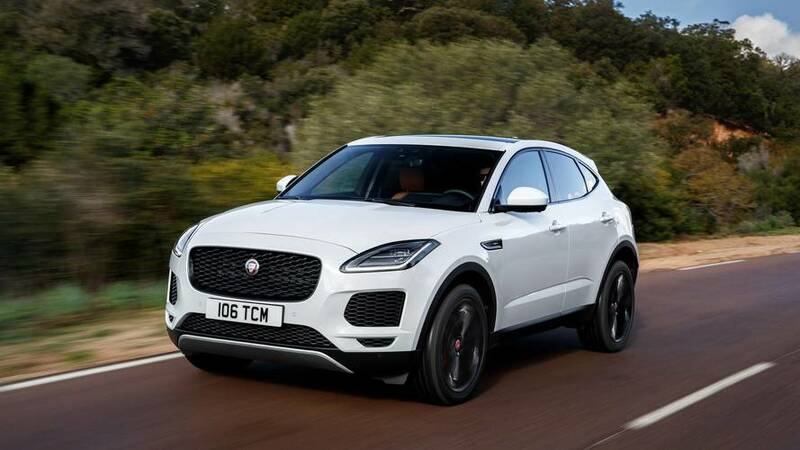 It might be front-drive based and high-riding, but this little SUV could be the best-selling Jaguar in no time. I find that I’m tired of the “not a real Jag” argument before I even hear it. 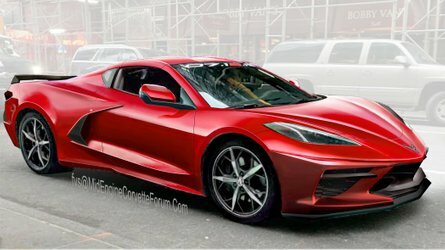 It’s true that, much like most of my colleagues and many of you, I’m a fan of fast, sleek, rear-drive Jaguar sports cars and sedans, like the F-Type and XF. But bemoaning this new E-Pace – a front-drive-biased, all-wheels-driven, small SUV – before even turning a wheel is, well, missing the point. Go ahead and insert some boilerplate comment here about small crossovers taking over the world – but I actually think the point is just how damn attractive the E-Pace looks, glinting in the Mediterranean morning sun. I’m in, of all places, Corsica, and Jaguar’s new small ute is looking (at least) very willing to play the role of island-traversing companion. Until this trip to France, I’ve only seen the E-Pace in pictures. It’s clear that two dimensions don’t do this vehicle justice. 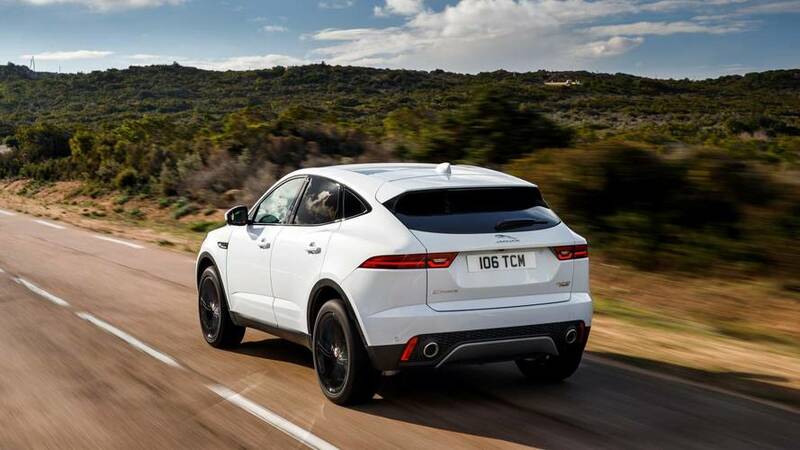 Jaguar designers have cleverly disguised the tallness and overall mass of the SUV, allowing the graceful bodyside and muscular rear haunch to dictate the look. With wheels – 20-inch wheels in the case of the car I’m driving, but with a flabbergasting 21-inch option available – pushed out to the corners to truly drive home the sporting intentions. 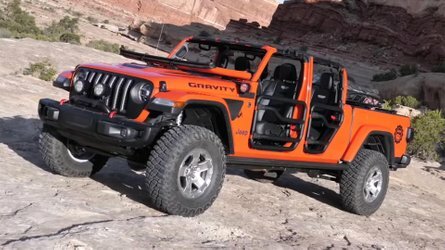 From the dead front and rear views it’s easier to see the utility vehicle proportions (at about 65 inches high, it’s taller than an Audi Q3 but shorter than a BMW X3). But the long wheelbase and short overhangs make it sexier than anything this side of an Alfa Romeo Stelvio. 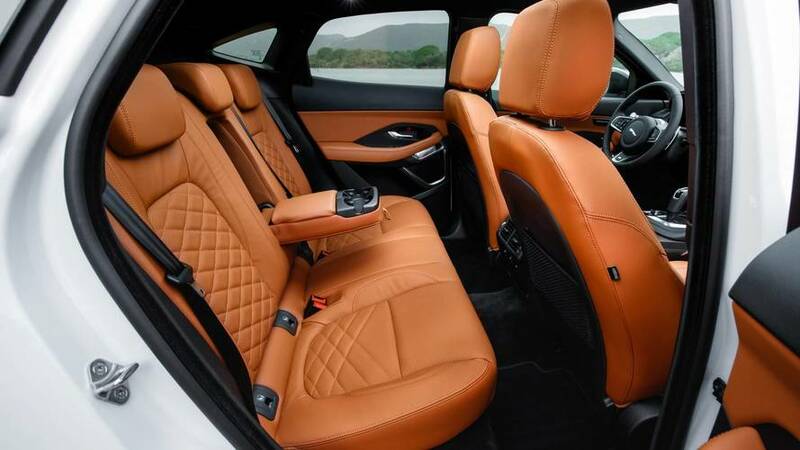 Tidy exterior styling hasn’t impacted interior volume, thankfully. At a massive six feet and five inches, I have no issue finding room to work behind the E-Pace steering wheel. 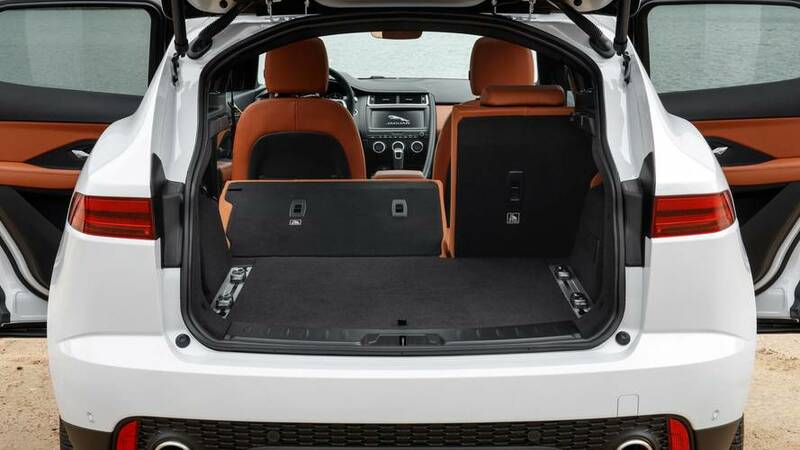 And a look at the spec sheet backs this up; among the most strident competition of the Jaguar, only the half-size-larger X3 offers more head, leg, and shoulder room, in both the front seats and rear. From an ergonomic standpoint, only the poor rearward visibility compromises the experience. 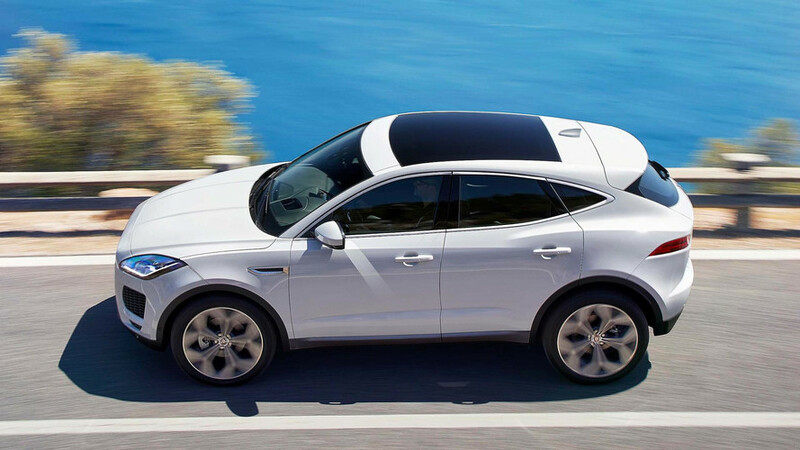 Grace, pace, and space it may have, but E-Pace doesn’t deliver on those traditional brand values in a traditional way. 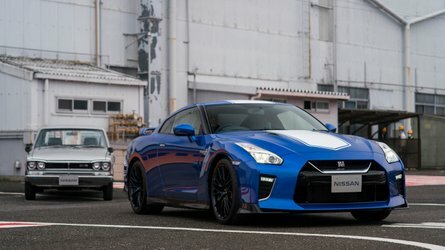 It is, as the doubters are wont to complain about, built on a front-drive architecture with a transversely mounted, turbocharged four-cylinder engine under its blunt front hood. In most of the metro markets in the U.S., I’d wager the E-Pace would be suitably athletic for most shoppers of luxury small utility vehicles. 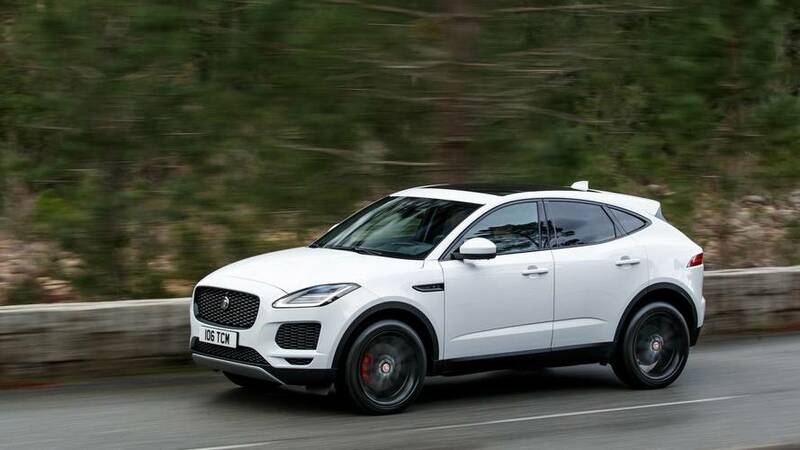 I want to say that this differential-less, electronic trickery makes the E-Pace handle as well as any other Jag, but that would be an exaggeration. At least, on hours and hours of amazing Corsican mountain roads, the SUV doesn’t quite get over its front-drive nature. When I push on this super technical route, there’s noticeable understeer. If I back the pace off a bit, the dance of turn-in, power-on becomes a lot more fluid, however. In fact, despite the jaw-dropping beauty of my surroundings, it’s clear that this car would show better on roads more like those I would find back home in Michigan. The electrically power-assisted steering has nice weight, and is reasonably quick, after all, and the adaptive suspension quite adept at smoothing the ride over occasional patches of knobby road. In most of the big metro markets in the U.S., with lots of freeway driving punctuated by the occasional Sunday blast, I’d wager the E-Pace would be suitably athletic for most shoppers of luxury small utility vehicles. 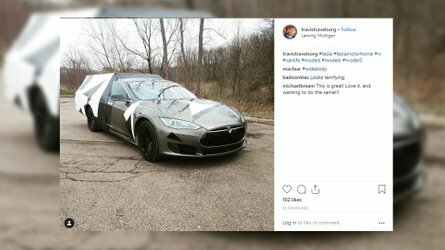 The case is helped by the inclusion of the optional active damping system, though I’ll need to drive this sucker in Detroit to really push its limits. 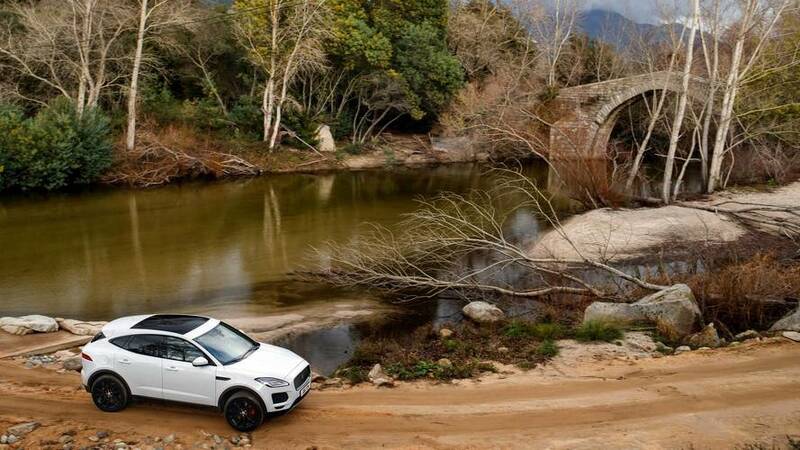 Jaguar minders are keen to show off the limits of the E-Pace off-road, too. I spend a solid hour driving over unimproved roads and tracks, up hills of rutted gravel, and through at least one foot-deep stream. 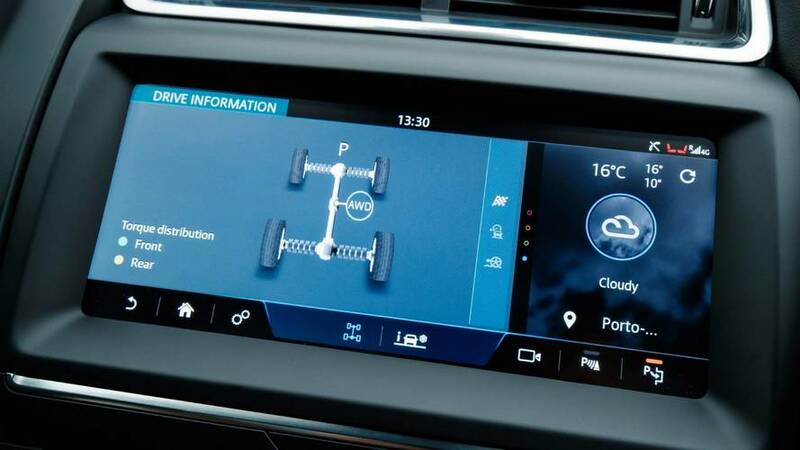 The automatic AWD system is up to all of it, meaning, I will guess, that any real-world E-Pace buyers should be in good shape for snowy weather and the occasional dirty jaunt. My mount (and in fact, all of the test cars available to drive) wears the R-Dynamic trim level, meaning it has a 296-horsepower, 295-pound-feet 2.0T for motivation, rather than the base 246-hp, 269-lb-ft variant. The engine feels good and actually sounds pretty good, as well. 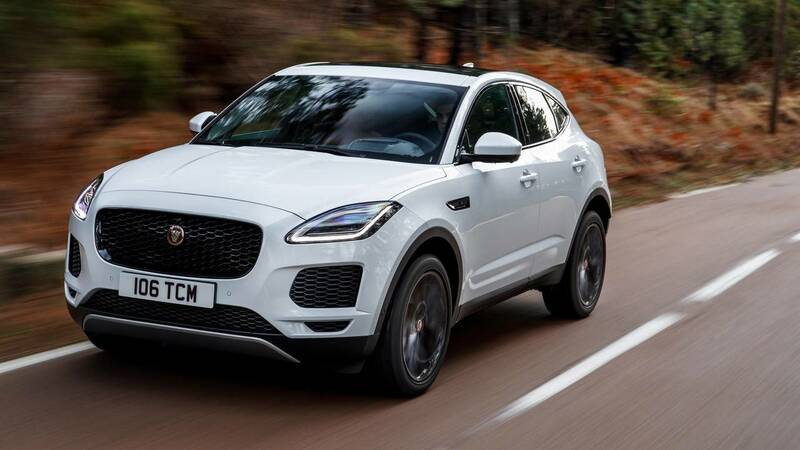 Jaguar tells me the R-Dynamic E-Pace will make the 0-60-mile-per-hour sprint in 5.9 seconds – 0.7 seconds faster than the base model – but more importantly when I press my foot to the floor the snarl of an exhaust note implores me to keep it down. 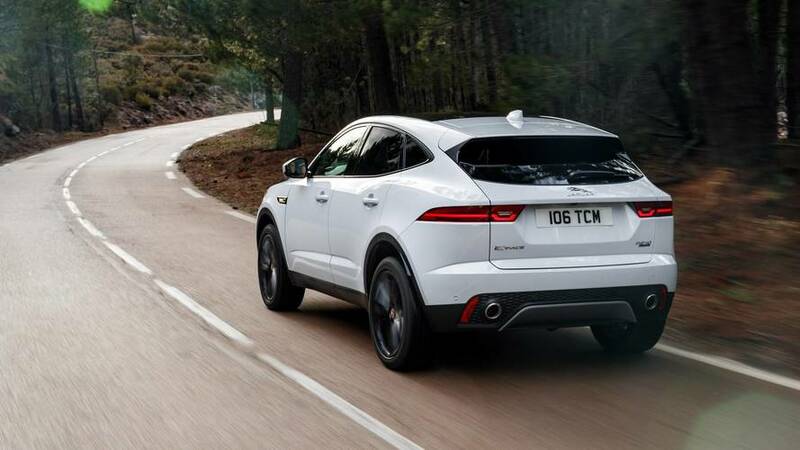 On the winding roads around this island, the turbo torque is well applied by the nine-speed ZF automatic transmission – specifically when the JaguarDrive Control’s “Dynamic” drive mode has improved throttle response and shift times. In Normal mode the transmission programing struggles to keep pace with the steady stream of downshifts this terrain requires, but should be well suited to urban cruising. 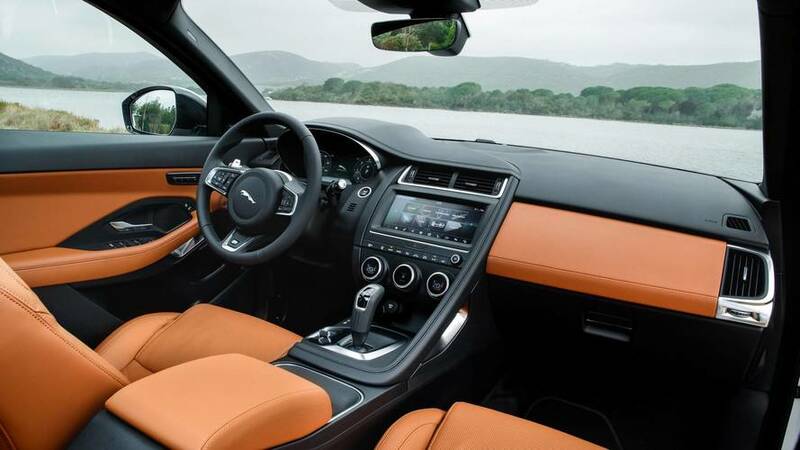 I think that Jaguar has managed quite a feat with its new baby, that is to respect the brand’s key values while compromising enough to be competitive in every aspect of a very competitive segment. The E-Pace may not trip lightly across Corsica like an E-Type, but neat handling, impressive power, good packaging, and a solid pricing plan should have you cross-shopping it versus the German and Japanese rivals. E-Pace pricing runs across a huge range, from the $38,600 base model, up to the decked-out R-Dynamic HSE at $53,100. Before I can offer up my opinion on the sweet spot of the range, I’ll need time in more than one trim (and a sample of the less-powerful engine), but on looks and packaging alone I give the Jag a fighting chance. It’ll almost certainly become one of the automaker’s best sellers, if historic trends hold true, and deservedly so. We might all dream of having an F-Type lurking in our home garage, just waiting for a sparkling day to remind us why we fell in love with Jaguar to begin with. 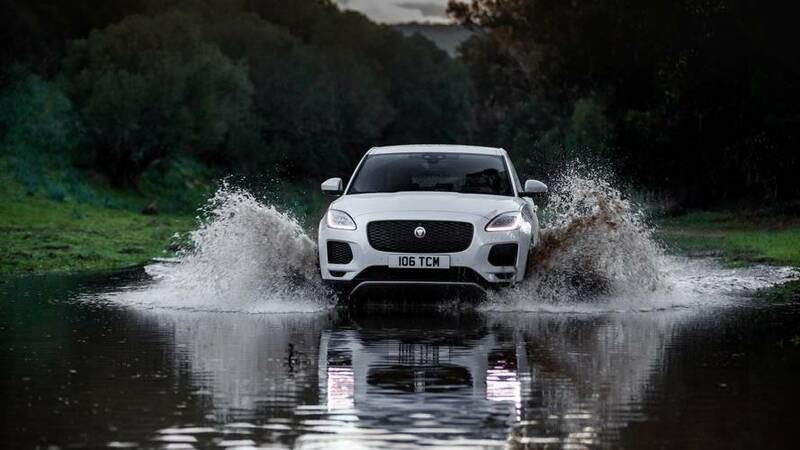 But for the rest of the time, in all weather, and for many more use cases, the E-Pace is just the non-standard Jag we need.